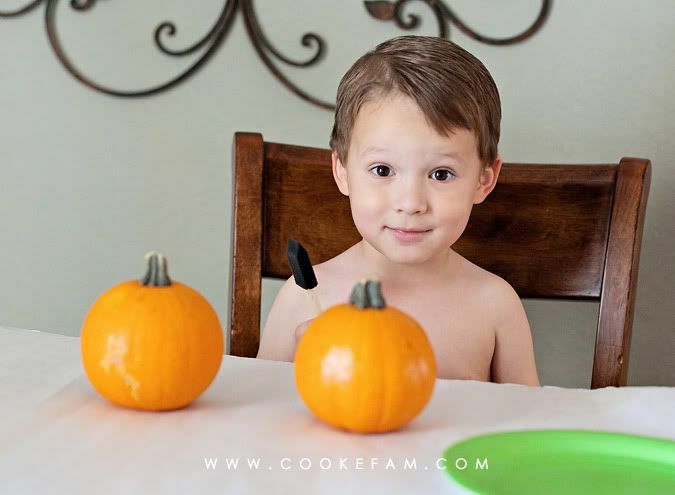 Ethan totally knows what Halloween is this year and is eager to dress up for the occasion. 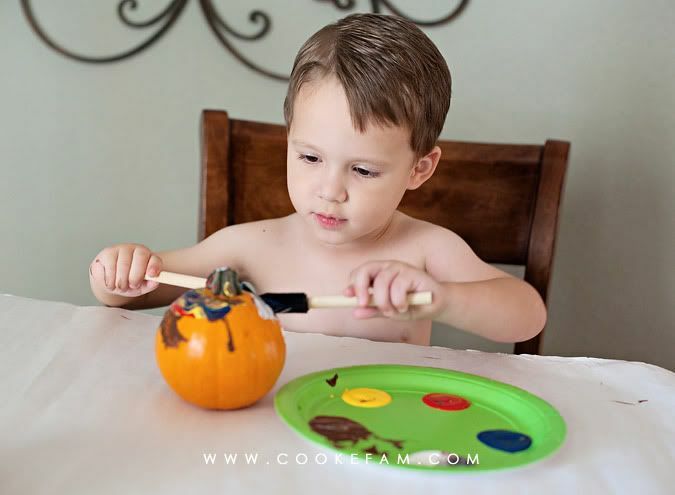 He is also eager to dress up our house, which I have not previously done. More on that in another post. 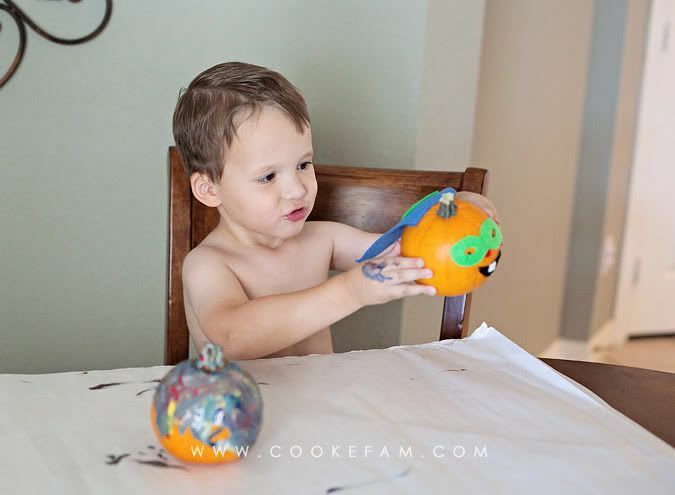 But recently we did get to paint and decorate some small pumpkins that I picked up at the grocery store. We had the felt and paint at home so all I had to get were the pumpkins. I told Ethan that we could paint one and then decorate the other one. 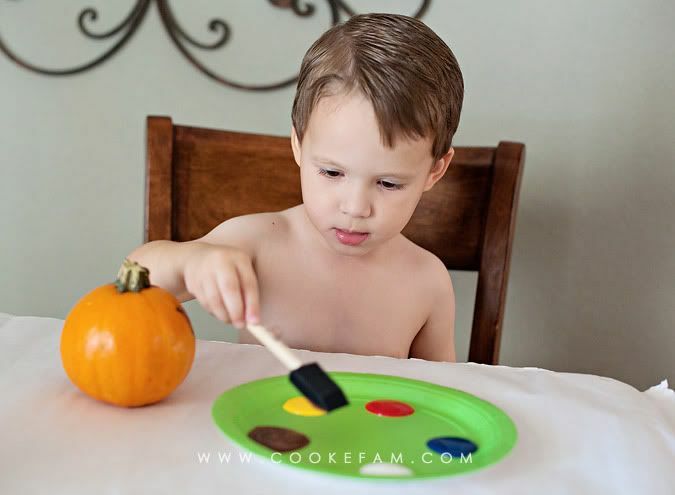 I let him pick which colors he wanted to use from my paint stash. 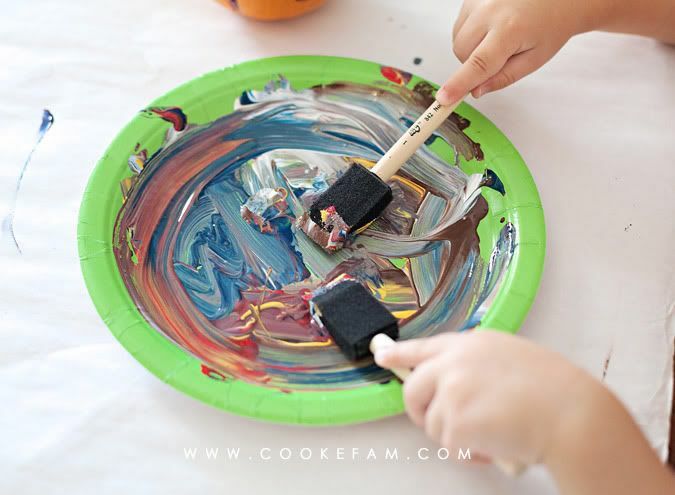 By the end of the painting session, there was quite a mixture of colors on the palette (or paper plate). 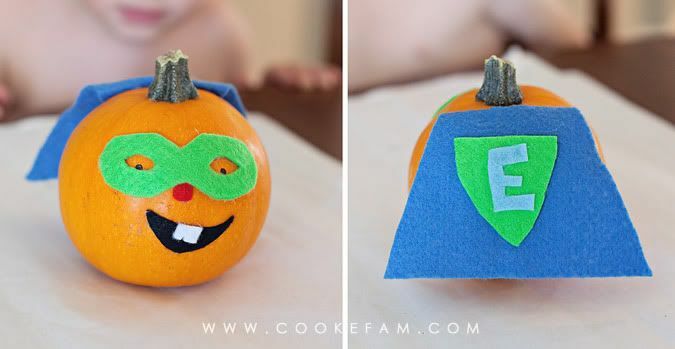 For the other pumpkin, Ethan knew exactly what he wanted to do...a superhero pumpkin. I definitely helped with the cutting of the felt, but he picked out all the colors and was very specific about the concept. 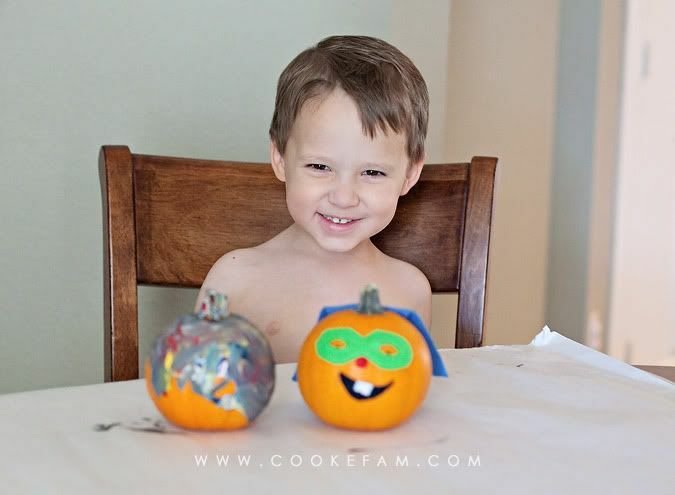 The proud artist and his finished pumpkins. They are on display in the kitchen. It's amazing what you can get done while little brother is sleeping! Too cute! What a great idea. 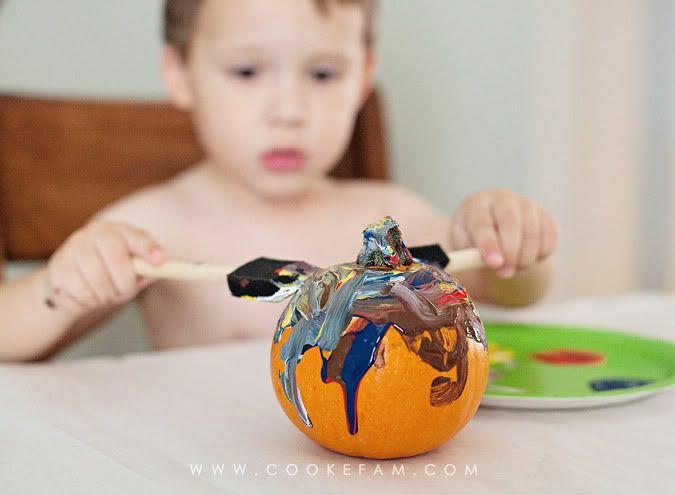 We always paint pumpkins, but I love the idea of decorating one. 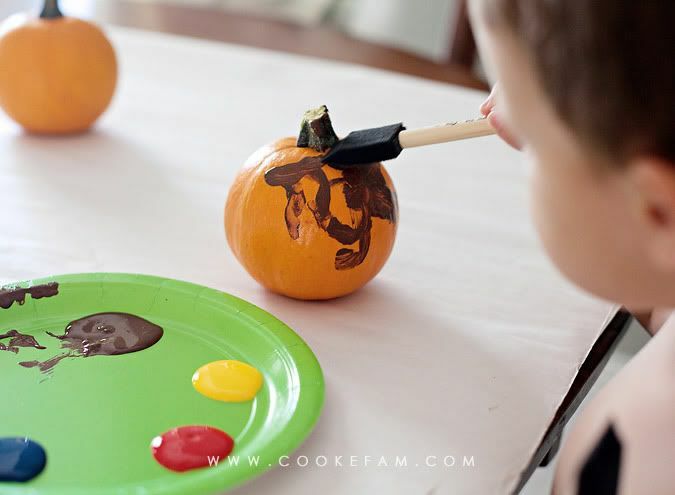 Yes, Kimbo and Blake need to make a Princess and Super Hero pumpkin. That is precious. Way to go Ethan! I love the superhero's cape with the big E on back! Super cute.